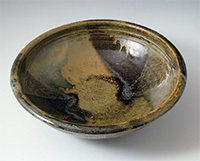 The Items featured in this Gallery are examples of the pottery I make on a regular basis. Because of the nature of the process I employ, I cannot guarantee that items can be identically replicated as shown. 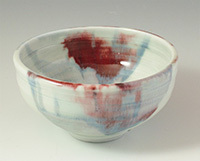 Colours and effects vary, especially the reds, depending on materials, atmosphere and pack of the kiln, not to mention the mood of the artist! Therefore each piece is unique. Bear in mind that all pieces are handmade and therefore are best seen and handled in person to ascertain their true nature. 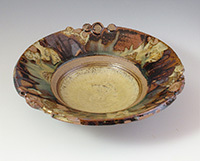 I make a large variety of work, so do not always have everything in stock at any one time. 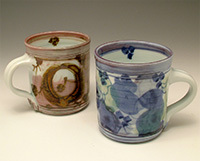 For instance, if mugs are needed to match a teapot, a customer may have to wait a while for them to be made. 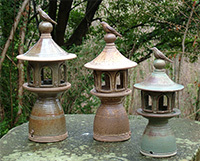 My aim is to let my pottery evolve and improve constantly. I try to innovate and create new work on a regular basis. 60 There are over 60 of my creations on this site, and we're adding more on an ongoing basis. Browse the galleries below, or take a Brief Guided Tour.